Surpassing borders, thresholds and cultural barriers with quality TV programming. Programs broadcasted in hard to reach countries where Christian television is either scarce or non existent. 3xM – More Message in the Media works together with local partners in Bangladesh, Pakistan, West Africa and Central Asia. Programs use drama and storytelling techniques while intertwining the gospel with relevant social issues. 3xM is committed to working together with church leaders within the target country. We believe this cooperative approach is fundamental to work in Gods kingdom. Would you join us in proclaiming the gospel in these inaccessible countries? 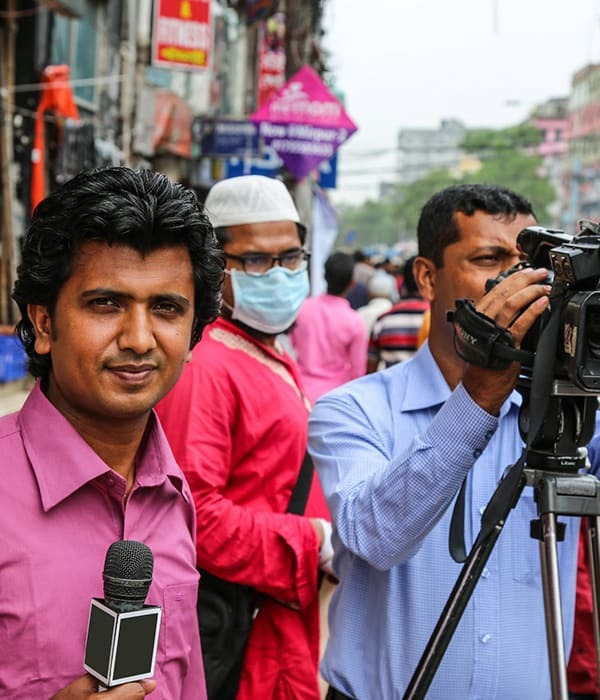 3xM is addressing social injustice in Bangladesh via high quality television programs. Topics like acid attacks, corruption and the trafficking of women are courageously addressed. The message brought in these programs is exceptional. A conscience-piercing truth intertwined with an overwhelming message of freedom. Every victim is precious in Gods eyes and for every offender there is forgiveness. Drama programs are broadcasted weekly on the nations most popular drama channel. Pastoral follow-up is available to program viewers after each broadcast. 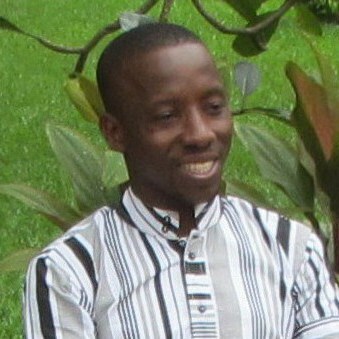 The West African region is a difficult place to share the gospel openly. The Islam is growing rapidly. While indigenous superstitions and Voodoo hold many in a vice. 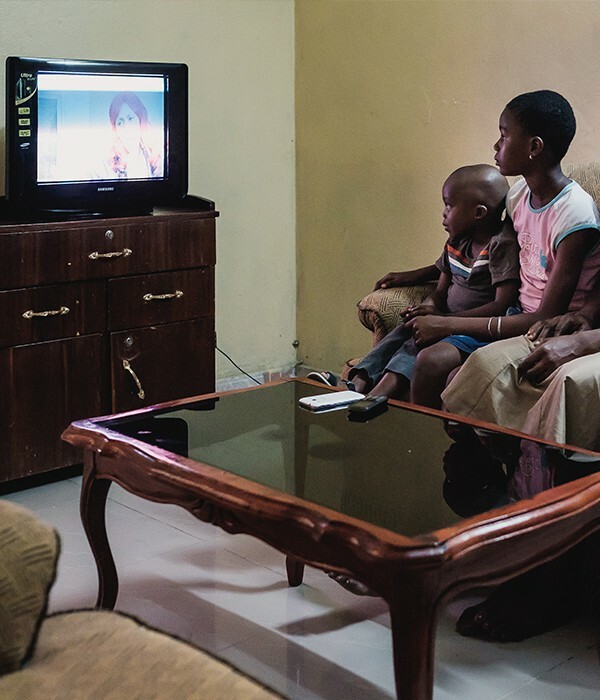 Television is reaching millions in West Africa today. Viewer responses confirm the immense impact 3xM programs have across the region. Programs are not only broadcast via television, but are also being shown in waiting rooms, high schools and even in mosques. Throughout all the programs, a biblical message of hope restoration and change is presented. Equipping viewers with an alternative to the norm. At the end of each program a phone number is provided so that people are able to respond and after care can be offered. In Pakistan it is not normal to be a Christian. Ignorance and illiteracy have contributed to rise in the Islam within society. Individuals are longing for the message of peace and unconditional love. Many individuals in the rural regions of Pakistan are illiterate. But the beauty of film is that a message can be communicated without any form of literacy. 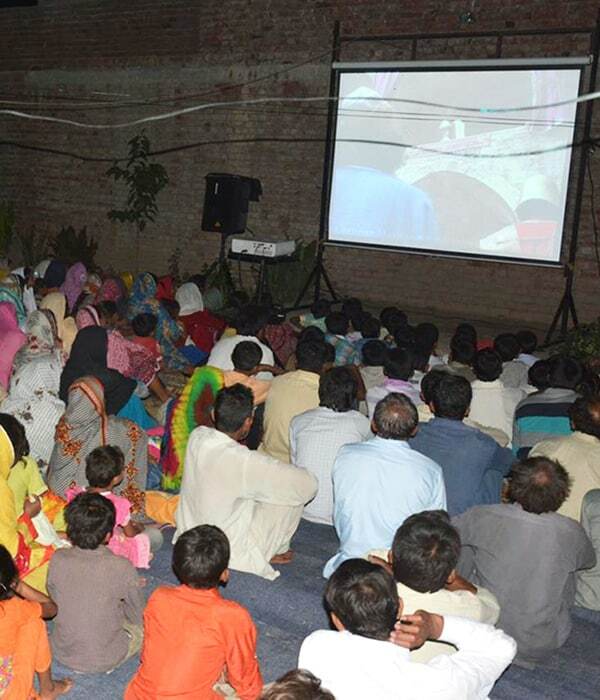 Our partner in Pakistan travels throughout the rural countryside showing film productions. The showings are well received and have proven a unique opportunity to share about Jesus and his love! With your financial support, individuals living in inaccessible countries can hear the gospel. Every donation makes a difference! 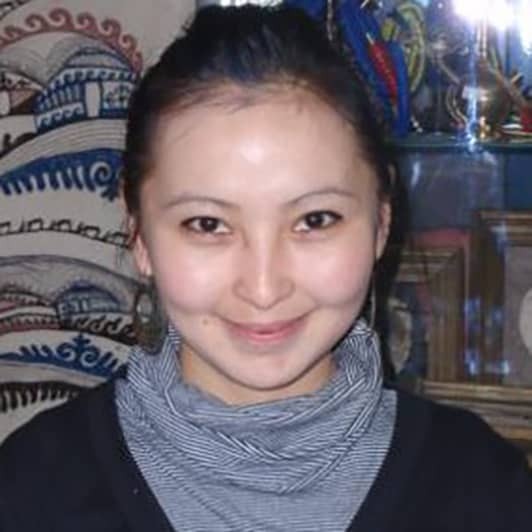 3xM partners successfully use a variety of approaches in making the programs, including drama series, street interviews, music, dance and personal stories. The programs are unique in that they address specific social issues of a given country or region. Issues including domestic violence, acid attacks, eave teasing, HIV/Aids, corruption as well as other forms of human injustice. We are the Lord thankful for all the responses from viewers in 2018! Read more: Annual report 2018. While zapping from one channel to another one day, I found the Miel Mortel program. “Success” was the theme of that episode. That is precisely what Michel, who was unemployed, has been thinking about for some time. On TV I saw a young girl like me: she lived a carefree life and showed no consideration for anything or anybody.